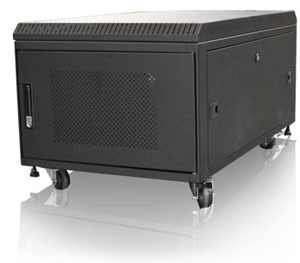 Mobile Rack Solution is built with high-quality aluminum/steel structures. 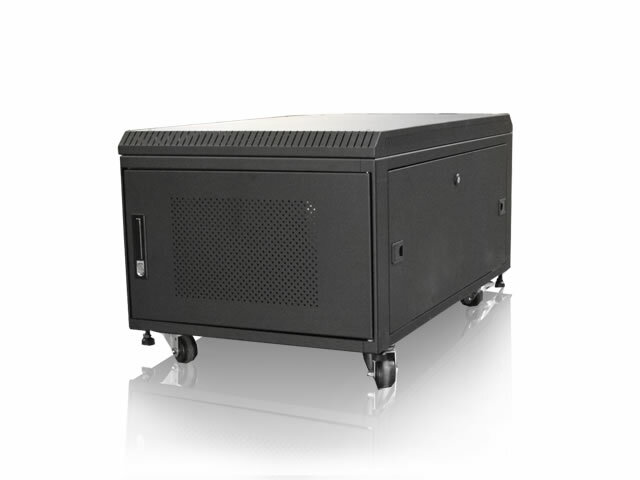 With vented doors and cooling fans, it provides excellent air circulation for servers and other devices. This Cabinets are completely lockable from the front/ rear doors and side panels to prevent unauthorized access. 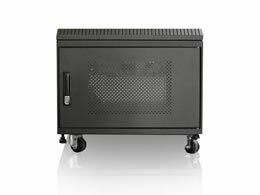 This stylish and secure 19" rack-mount cabinet protects your investment in computer equipment against environmental elements heat and dust.